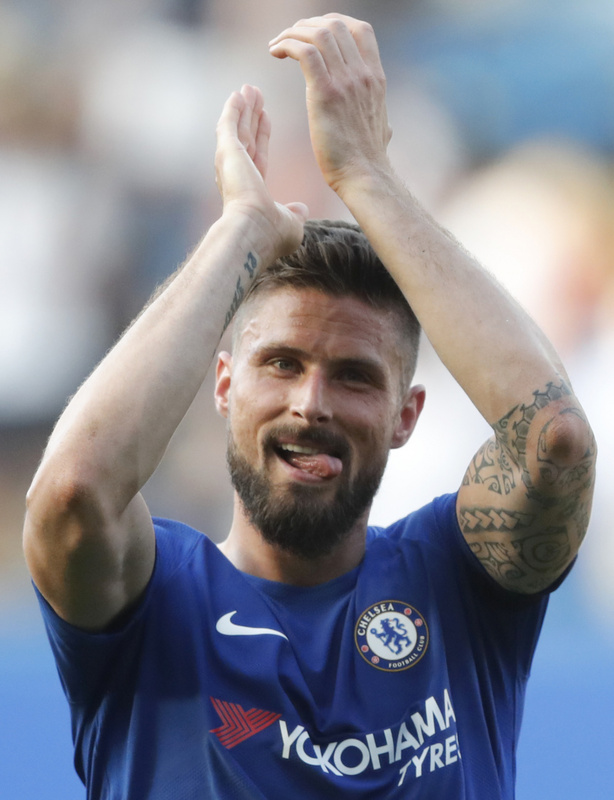 LONDON (AP) — Chelsea boosted its hopes of Champions League qualification after Olivier Giroud's first-half header sealed a 1-0 win over Liverpool in the Premier League on Sunday. Tottenham's loss at West Bromwich on Saturday and Giroud's fourth goal in five games took Antonio Conte's deposed champions two points behind their London rival with two games to go. "One month ago it was impossible to imagine to arrive at the end and fight for a place in the Champions League," Chelsea manager Antonio Conte said. "Now there is the hope because we are getting three points every game (five in a row) and our opponents are dropping points. "Our future is not in our hands but we have to try to get three points to put the pressure on the team who stay ahead of us." Liverpool has work to do to secure its place in Europe's elite competition as an intense contest in stifling heat proved too much at the end of a week which saw Juergen Klopp's men advance to the Champions League final against Real Madrid. Over the next week, Chelsea plays Huddersfield and Newcastle, while Tottenham faces Newcastle and Leicester. Victory against Brighton next Sunday would secure Liverpool's top four place, despite Klopp's first loss in six meetings against Chelsea.